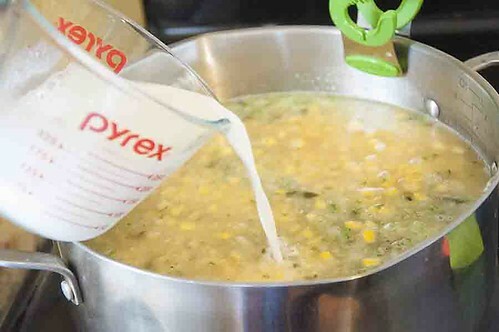 Melt 2 tablespoons butter in large pot over medium-high heat. 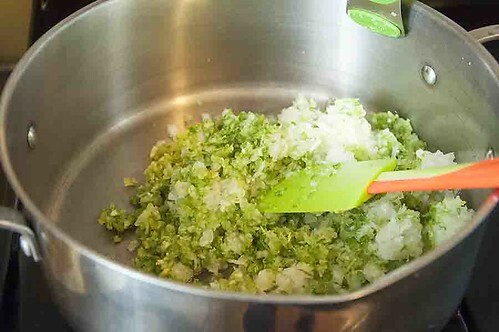 Add onion-celery mixture; sauté until soft. I left the cayenne pepper out for our resident lightweight, but I do keep an assortment of chiles and hot sauce on the table. 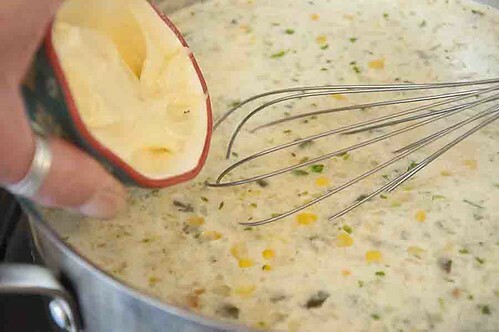 Whisk in the flour and butter mixture, then simmer to blend the flavors. Yes, I did dunk a corner of my sandwich into it. 1. 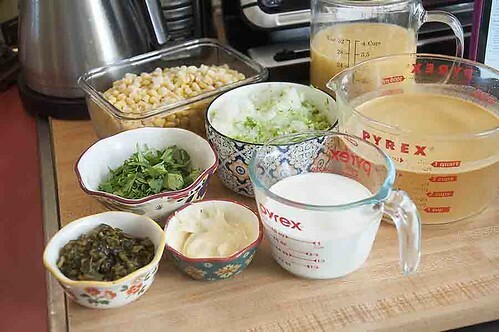 Mix 2 tablespoons butter and flour in small bowl to blend; set aside. 2. 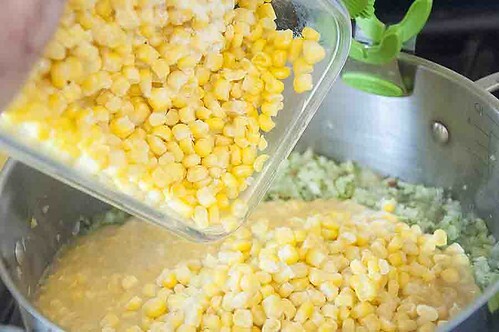 Finely chop onion and celery in processor. 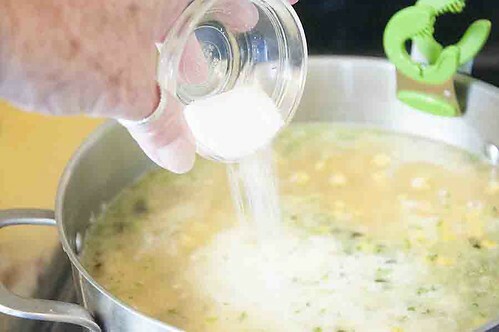 Melt 2 tablespoons butter in large pot over medium-high heat. 5 minutes longer. Season with salt and pepper. 3. 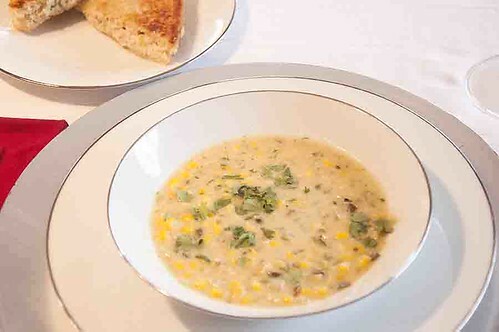 Ladle chowder into bowls. 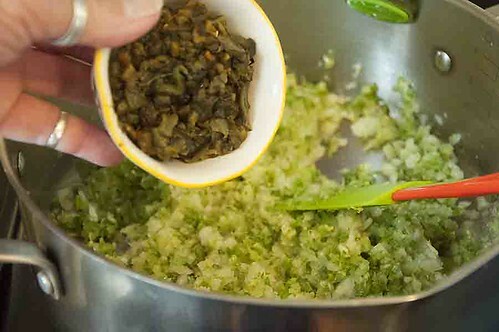 Sprinkle with remaining 2 tablespoons cilantro.